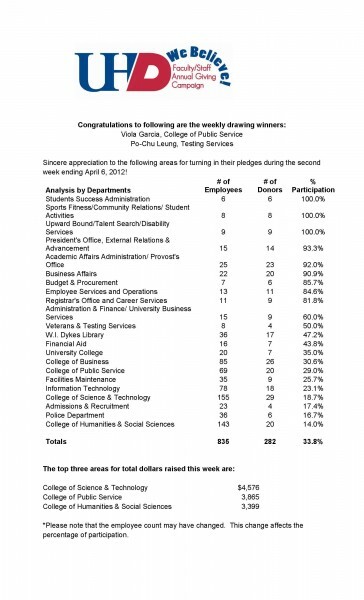 Once again, I'd like to thank all those faculty and staff who are participating in our Faculty/Staff Giving Campaign. 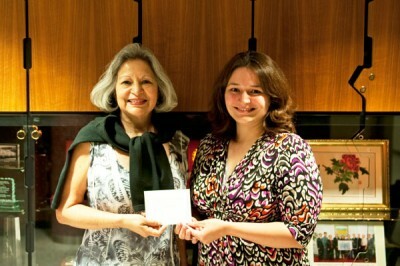 This week's drawing winners are: Viola Garcia, College of Public Service, and Po-Chu Leung, Testing Services. Please review the list below for an update on the week ending April 6, 2012.